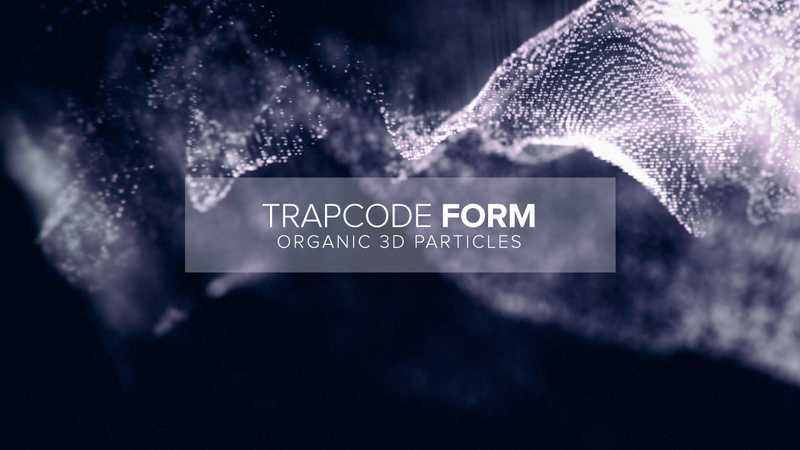 Trapcode Form is perfect for generating organic fluid particles within After Effects. Trapcode Form is extremely robust for even the professional designers and share some similar powerful features found in Trapcode Particular. Whether you’re creating complex particle transitions or compositing morphing particles, Trapcode Form gives you the ability to pull them off within After Effects. Easily one of my most favorite After Effects plugins for generating particles. It’s a breeze to setup and create organic and abstract particle animations and shapes. With the ability to use OBJ files/sequences, Trapcode Form opens up many interesting options for using your 3D models in After Effects.